The purpose of this is not to demonstrate that one company is a better deal than another. Please keep in mind that this, in many ways, is comparing apples to oranges. Shorter trips always cost far more, as servicing a shorter trip is almost as expensive as a longer one. We are aimed at a different target demographic. The companies compared below are both reputable companies. In fact they are, or have been, customers of our parent company, Caravanas de Mexico. Their caravans are different from ours in focus & time frame and may	suit you better, especially if your time is more limited. 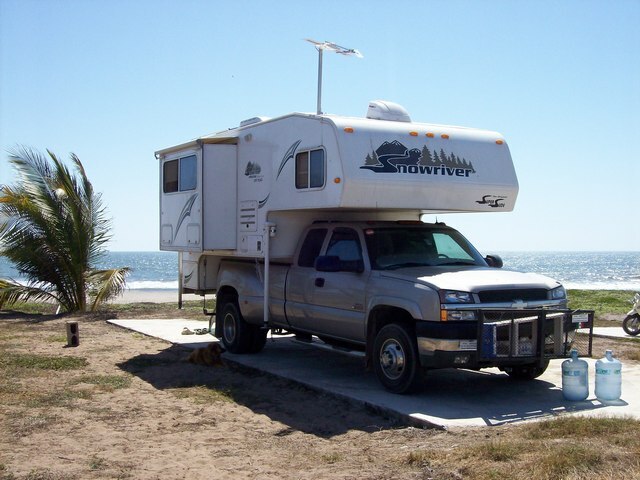 We all have a common goal of building the	RV tourism industry in Mexico, which benefits all of us. Look at the chart below & determine which trip is best for you. If you want information on the competitors trips, email it, we will be happy to steer you to them. Some of them are also our customers for services. We want you to have the experience that best fits your profile, time & budget. If you are looking for a French Speaking Caravan, also contact us for suggestions. Please note, for comparison purposes, the extra fuel & tolls due to distance traveled in our caravan, will raise the daily cost listed by about $5-$8 dollars as opposed to the other 2 companies. Fuel & tolls average about $20 per day based on 10 MPG for our Mainland trip or $18 a day for the combined Mainland-Baja trip (No tolls in Baja).